The IPCC and high biased climate sensitivity | Watts Up With That? Nicholas Lewis (who with Jeff Id and Ryan O’Donnell rebutted Steig et al and the flawed Antarctica surface temperature analysis) writes in with a note about a post on Climate, Etc. (Judith Curry’s blog) related to the IPCC AR4 and their estimate of climate sensitivity. There’s been a lot of talk about this as of late, and the number that I keep hearing repeated again and again is in the range of 1.1 to 1.4°C per doubling of CO2. Recently at ICCC6 in Washington, Dr. Roy Spencer suggested in his debate with Dr. Scott Denning that the value seems to be 1.3°C per 2xCO2 based on his analysis of temperature observations. July 5, 2011 in Climate sensitivity, IPCC. Isn’t it remarkable how all these ‘mistakes’ tend to favor the alarmist cause? I suspect that there are some interesting statistics to be uncovered in computing the likelihood of so many mistakes occurring in one direction, ‘by chance’. That is….if things like a flipped over ENSO, the sun, Chinese coal, natural variability, clouds, contrails, soot, elves and gremlins, and …..
Just to short hand the study because its a pretty long a high on the technobabble. The IPCC took eight studies on climate sensitivity of which one(Forster/Gregory 06) was the only study based purely on observational evidence, with no dependence on any climate model simulations threw said study in their voodoo math machines and basically 2x the results. It then put the study up in the graph with the other studies and basically pulled the “mikes nature trick/hide the decline” game. So it is models, all the way down. ~1.1C per CO2 (including equivalents such as methane) doubling and 2-3C in concommitant water vapor amplification. The bone of contention among the better informed has always been about the amplification and seldom about the baseline increase from CO2 sans amplification. 1.1C per doubling is nothing to worry about and everyone knows it. 4C per doubling is something even I would worry about and I don’t worry easily. Fortunately there’s not a shadow of doubt in mind that 4C is a complete fabrication without a shred of empirical evidence behind it while 1C per doubling is quite credible and supported by virtually all the observations and theoretical physics. So, no worries. We’ll run out of fossil fuels before we can pump enough into the atmosphere to even do something as positive as end the ice age. Hopefully we’ll have a replacement source of energy to keep us warm and fed when the glaciers begin their inevitable rapid advance. If not then civilization is going to collapse by ice not fire. To be specific, the IPCC assumes that CO2 has 14 times the warming effect of solar activity, a product of assuming that solar magnetic activity has no effect at all on global temperature. The only solar variable the IPCC includes is total solar insolation, which varies by about a tenth of a percent over the solar cycle. Solar magnetic variables, which can vary by an order of magnitude over the solar cycle and are highly correlated with climate, are all completely omitted. The more that 20th century warming is actually attributable to the 80 year grand maximum of solar activity (from 1923-2003) the less warming is attributable to CO2 and the lower the climatge sensitivity (the warming that a doubling of CO2 would create). If it is only 1.3 when all warming is attributed to CO2, it would pretty much have to be less than 1 when solar effects are properly accounted, meaning that feedback effects tend to dampen rather than amplify temperature forcings. A 1.3°C rise due to 2XCO2, if added to a natural out-of-LIA of another 1.2°C will bring the total to 2.5°C, close enough for the warmists to say observations “prove” their hypothesis. 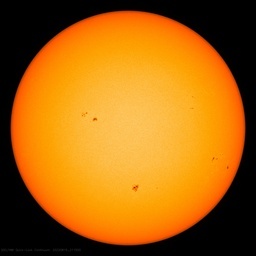 The only hope we have is that the coming solar minimum (as proposed) has a cooling effect. That amount of cooling, however, seems to be in the 0.3° – 0.5°C level (relative to pre-1820 estimates). A further rise of perhaps 0.8° – 1.0°C would then occur even with a modest CO2 input. More “proof” that we are endangering the planet by the warmist meme. Of (serious) note is this: according to the warmist/Mann temperature history, we are already far warmer than the MWP, when the Vikings colonized Greenland. According to some recent report (in WUWT, June 2011), Greenland at the times of Viking settlement and farming was about 4°C higher than today. So we have a disconnect here. Again it goes back to the temperature record: if the MWP was cooler than today, then the non-Greenland, non-Britain areas were far cooler than today, as the northern latitudes appear to have been warmer in the MWP than today. Does that show up? It is one thing to argue that the MWP was cooler than today, but since we know places were warmer then than now, we have to have those cooler places. Or should we be setting sail (with combines) for Thule? A year ago people here would be swarming all over this post by now. Nic Lewis, it appears, has pretty much knocked down the central pole of the Catastrophic Anthropogenic Global Warming tent, by showing how the IPCC used statistical tricks and mis-applied Bayesian analysis to skew projections of climate sensitivity to CO2, more than doubling the projected sensitivity arrived at by the only instrumental study of this phenomenon, and applying the same statistical measures used for purely modelled projections. It’s hard to get frightened by a likely 1.2 degrees C warming from a doubling of CO2, with diminishing results over that initial doubling due to the exponential relationship between CO2 and radiative forcing. Well done, Mr. Lewis. 1) Forster and Gregorey’s apparent acquiescence to the IPCC’s misuse of their study. Hopefully they will respond to Nic Lewis’s invitation to comment. 2) The complicity of the lamestream media and government bureaucracies in the global warming scam. Media types will not be motivated to provide a translation of this technical criticism of the IPCC AR4. The few exceptions such as Lawrence Solomon of the National Post will take note, but will be preaching to the choir. 3) Getting the message to the scientific community – can this be submitted to a peer-reviewed journal so that the inevitable criticisms may be overcome? This is another example of how confirmation bias works. When the outcome of their work supports their theory or preconception, it must be right and therefore does not require that their methodologies or math be reviewed for errors. I liken the IPCC to a population of animals too small and confined to have a diversified gene pool. They’re just passing the same bad genes (bad math and biased results) back and fourth as they borrow from each other. With each new paper that builds uncritically upon the results of previous work, the errors compound and become more generalized with a predictable end result. If the IPCC were to have any hope of avoiding extinction, they will need to pull in a new stock of scientists who aren’t all first cousins. So, assuming IPCC theory is correct, even Jim Hansen’s records indicate a ~1.3C sensitivity with doubling from pre-industrial levels. This fact is very scary to Climate Science because 1.3C is not scary. If the fear is not there, the money will dry up. The junkets, the honorariums, the grants, all go bye. The game therefore is to make it seem like there is important scientific progress being made by their new models (5C!…8C!) and distract applying their “co2 mostly” theory to actual temp records. Clowns are very good at juggaling balls at the International Parade of Climate Clowns (I appreciate when typing this that most scientists connected witht he IPCC are honest and they believe in the scientific method and they should appreciate an open debate on the conclusions that the IPCC have made but there are a lot of careers that rest on such conclsions, it is the response that will interest me). I may be able to do so, as part of a more thorough analysis of the whole uniform (or other) prior issue, particularly if I can find a willing statistician to team up with to do so. I appreciate your thanks and agree with your comments. and where is the difference ? Your correspondent misses a crucial point, namely: the IPCC does not do research. They report on the collected findings of hundreds of researchers, finding a consensus where this exists. There is a ton of observational and satellite data confirming warming in the North. The loss of ice results in a diminished albedo effect, thereby enhancing a further loss of ice. Anyone with eyes can see this for themselves! BTW, re: my post immediate above, I used ~1.3C not related to Lewis’ article re:ipcc above, but the other earlier stories and such putting sensitivity in the low 1 point 0s. 🙂 “1.1-1.4” I have now read Lewis’ article and it is good, but the prior paper he believes IPCC misrepresents indicates a median of 1.6C. Hmm, now who do we know that could fit that bill?…….. Hmmm? BTW, Great work Nic! While I can with much effort follow the maths in some of these statistical dust-ups, I lack the skill of discernment as to what are appropriate applications of what approaches vs others. I’m thankful for guys like you and Steve McIntyre being there to guide us through these very obscure missteps. I could have read that part 100 times and never found this. Storm in a tea cup, everyone knows the right number is ~3 from the models. The 1.1 to 1.6 (or whatever) range is certainly itself high by some significant multiple, given the plethora of ignored natural variables. Don’t get into the habit of ceding it as a given, or taking it for granted. Note that the reversal of water vapour’s negative feedback effect on top of that is then necessary to get us back to the actual MWP levels. It’s errors all the way down. And then come the economic-political misrepresentations piling on, which are Godzilla-comic hypertrophied “scenarios” fueling demands for money and power to ‘save us all’. Aside from the grotesque exaggerations of downside warming consequences (hypothetical) and Denial of the upside ones (which actually have abundant historical evidence), it’s really too bad the AGW mechanism is a house of cards built on scientific sand. I’d love to see the MWP again, personally. But it’s hard to resist the conclusion that the tremendous boost a return to it would provide humankind is itself the real problem for the misanthropist Watermelons. July 5, 2011 at 1:39 pm Your comments on “the temperature” of whatever, to me seems the key. I see each revision of global land surface temperatures push down old values, and increase recent values. I frankly (Mosher be damned) think this is fraudulent. So how many degrees have we come out of the LIA? Perhaps CO2 forcing is considerably less than 1C. July 5, 2011 at 3:01 pm Good post. You, me and probably Willis would be in accord on this issue of keeping the gravy train going. I just hope when the scam is revealed for what it is, we still use “the perp walk.” Hanson and Mann and a number of others will look good – to me at least – in bright orange on their way to face the judge. And no white collar prison for them – I think they should go to one of those ordinary prisons, for hardened criminals, given their premeditated attempt to kill or seriously harm a few billion people. When one adds the cooling effect of GHGs to the warming effect of radiation blocking, the total effect value comes down fast. My estimate is the total effect is in the .6C range per doubling. That means even strong positive feedbacks could only push the number to 1.5C. Hence, the estimate of 1.3C still seems a little too high. All of the empirical data points to the low 1.5C per doubling or less sensitivity. There has to be energy accumulating somewhere that we have not found yet and cannot even guess where it is, or sulfate Aerosols are bigger than can be measured so far or the theory about the heat trapping/radiation slowing properties of CO2/GHGs are over-estimated. Find the missing energy – or show how sulfate aerosols are indeed reflecting more sunlight than measured so far – or face the facts about how the real climate system works. And quit playing around with the numbers, climate scientists and the IPCC alike – you are getting caught more and more often now. Wiki 2050 biographies will tell the true story about what was done in the decade coming up. Jeez, that’s asking a lot. Let me just use the upside-down Tiljander sequence another time, and those lovely strip-bark bristlecone cores, and I’ll show you something unprecedented! Now off with you: I have really important things to do! I’m jetting off to Tahiti to present the nitty-gritty bad news to the WWF (you know that those loong flights are a PITA, but international first-class makes it just barely doable). And of course the bordeauxs and burgundies and late-night Tahitian treats are a real stress to the system, but, by God, this is important stuff. Who are you to question a settled science!? “…If the AGW model could predict temperatures at anywhere near the accuracy of Ptolemy’s methods it would be hailed as scientific bedrock. The rapid decline of the Arctic, 75% over the last thirty years, suggests that the Atmospheric system has a higher sensitivity than previously thought. ….or sulfate Aerosols are bigger than can be measured so far…. Back in the mid-70’s, when fuel sulfur levels were high, and automobile exhaust catalysts ran with lots of excess air, I did some laboratory measurements of sulfuric acid aerosol size in dilute and cooled auto exhaust, using a modified Anderson impactor. The results over both a steady state and a variable vehicle speed driving cycle showed, 98 percent of the particles were below 7 microns and 50 percent where below 0.4 microns. Of course, the particles may aglomerate in the atmosphere, but 0.4 microns are definitely small particles. I can’t understand the arguement that sulfate aerosols are keeping solar energy from reaching the surface. If I remember what I learned of Mie theory (admittedly it’s been over 20 years since I worked with it) the majority of light scatter by aerosols the size of sulfuate (or sulfuric acid) is in the forward direction, Very little of the light is scattered backward. So even if the light is scattered, except for very low sun angles, the scattered light will still hit the surface of the earth. Double CO2 and get a 4Celsius increase in temperature. I’m off to sell CO2 filled sleeping bags……..
And that 1.3`C increase for 2xPreindustrial CO2 is a theoretical maximum. So far we have seen 0.6`C for +30% CO2. This looks to be pretty much in line with the theoretical increase, but only if all natural factors stopped in 1900. And that is very unlikely. Milions of years of natural variability suddenly stopping. Impossible in fact. So its quite obvious then that there are negative feedbacks which are reducing the impact of CO2, and thus in total we will only see a 0.7`C increase with 2xPreindustrial CO2. As has been suggested by Lindzen. And all the while we are in a general 10,000 decline in temperatures if you look at the ice core data. We need that extra 0.7`C, and the planet needs that extra CO2. Nic….I am also working on the sensitivity issue, jointly with a colleague in the US who provides the stats expertise, and I live not 45mins from where you are (Bath? )….I would like to meet up and show you some of our calculations….peter.taylor(at)ethos-uk.com – if you would be interested, we could perhaps collaborate in some way. I keep banging on about this but so far I have received not a word of effective response from the modellers……sulphur is only effective globally if it is injected into the stratosphere. All the models that replicated the 1950-1980 cool period via ‘global dimming’ due to suplhur were effectively invalidated by three papers in Science in 2005 (reviewed in my book ‘Chill’) and IPCC4 admitted the dimming was not global (but kept quiet on the implications). Global sulphur emissions did not fall due to sulphur controls because those controls were not global and India and China took up the slack…but this did not enhance the warming any more than it contributed to the cooling, because the sulphur is low-level and localised, as before. Isn’t it remarkable how all these ‘mistakes’ tend to favor the alarmist cause? It is fairly strong evidence of bias in the IPCC. Otherwise you would expect the errors to be 50/50 +- chance. Alarmists don’t catch errors that increase the alarm because if you strongly believe that AGW is a cause for alarm, you truly believe the glaciers will melt by 2035. Saying they will melt by 2350 looks like an error to an alarmist – surely it won’t take that long – so changing it to 2035 looks like a correction, not an error. The Earth is in radiative balance in that as much energy is emitted by the Earth as it receives from the Sun, so the energy of the Earth is constant. Where does the heat for warming come from? 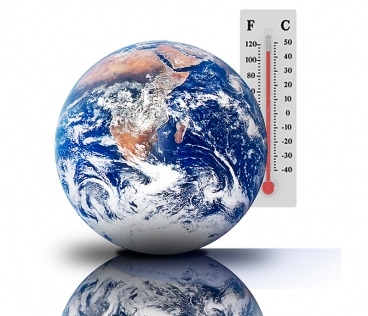 What part of Earth cools to heat the atmosphere? If you have two transparent balloons in your living room – one filled with air and one filled with CO2 will the one with CO2 be hotter than the other? It was shown in 1920 that the greenhouse effect [in greenhouses] is almost non-existent, and that is a closed environment, unlike the Earth with radiative and convective flows of heat. What is the green house effect on a greenhouse with no roof? I don’t understand why this issue is not generating more comments here at WUWT. It certainly has generated lots of comments at Bishop Hill and Climate Etc. and I think this is one of the most important developments in the fight against CAGW in the last year. During cold spells such as the Little Ice Age or the Dalton minimum a ‘store of cold’ will be created. Land is a poor store of cold, ice is the best, but water is a good store and extremely plentiful, particularly in the form of oceans. Consider putting a bottle of water in a freezer for half an hour – it will take a lot more than half an hour to return to room temperature, and even longer if some has turned to ice. The gradual rise in global temperature since the Dalton minimum is simply the Earth eliminating the ‘store of cold’ as it returns to ‘room temperature’! Unless this background warming is eliminated from the calculations then plotting the effects of so-called GHGs against global warming is totally meaningless. The Earth is in radiative balance in that as much energy is emitted by the Earth as it receives from the Sun, so the energy of the Earth is constant. So increases in GHGs are not ‘trapping’ additional heat from the Sun, so where does the heat come from? The only way GHGs can change the global temperature is by altering the Earth’s albedo [the amount of energy reflected back in to space without being absorbed]. The albedo of Earth varies between 30% and 35%, the variation being principally controlled by the amount of cloud cover. So water vapour in the form of clouds is a GHG which causes cooling! If GHGs do have ANY effect it should be measurable in a laboratory. Why guess when you can measure, unless you don’t want to know the answer. In addition to not properly accounting for the solar influence on temperature rise over the last 100 years, there is substantial evidence that at least a portion of the recorded temperature rise isn’t real in the first place. That is, it is an artifact of both Urban Heat Island and micro-site contamination of the ground based temperature network. Our own Anthony started his work with an experiment that showed that changing from white wash to latex paint on the enclosures increased the temperatures in the enclosures by a measureable amount. There is a ton of observational and satellite data confirming warming in the North. Give it time. It took over a day for comments on WUWT to really pour in after Climategate broke. People needed time to read up on it and absorb it. … and I think this is one of the most important developments in the fight against CAGW in the last year. I agree. And I think it could make a big impact on the Supreme Court that the IPCC was cavalier in following its supposed procedures (“just the published science, ma’am”), and that attempts to get a correction into the IPCC by Annan & others, and into the literature, failed (indicating a corrupted / biased scientific “playing field”). I hope the legal teams appealing the EPA’s finding will heavily stress these indications of impropriety and bias in their arguments. They are the sort of arguments that judges feel competent to evaluate. Whose use of statistics was dire. Even he couldn’t make it go higher! I am questioning whether GHGs exist [see previous posts]. One idea is that the atmosphere as a whole is a green house gas, moderating Earth’s temperature compared to the extreme temperatures on the Moon. If one removes the atmosphere then the Earth would absorb energy from the Sun, minus the albedo, the light reflected without absorption. The albedo of dry land ranges from 20% to 40%, but water has an albedo of about 8%. Considering the amount of land versus ocean the albedo of the Earth would be less than 20%. If you add the atmosphere then the albedo of Earth varies between 30% and 35%, mainly due to clouds. This shows that the atmosphere introduces a marked cooling influence on the Earth and so does NOT act as a GHG! It seems odd that they have to heat the place, after all these are business men who would hardly want to waste money on heating when all they need to do is to add a few cheap GHGs! I have to agree with you. I first read this article at Climate, Etc., and was stunned at the implications. With the traffic WUWT gets, and the active participation of commentators, I am surprised that there is as little activity as there is on this post. This work throws the whole water-vapor feedback theory for a loop. Without that feedback, there *is* no CAGW. That is the crux of the difference between those who believe in catastrophic AGW and skeptics. This single issue could spell the death knell of CO2 cap and trade schemes, and the trillions of dollars proposed to mitigate CO2 – and yet there is virtual silence. Nic Lewis has done a remarkable job here, and I hope a qualified statistician will step up to get this work in a peer reviewed journal. Great work Nic. Also, thanks to Judith Curry for hosting the original post. With the traffic WUWT gets, and the active participation of commentators, I am surprised that there is as little activity as there is on this post. But the flaw is so “technical” and abstruse, involving subtleties of Bayesian statistics, that it’s something that’s mostly fodder for the sort of specialists who are more common on those other sites. Nic has uncovered a crime of significant magnitude. This piece of chicanery has reduced the IPCC’s credibility to nothing, but who or what organisation is to act as policeman? The real problem for the IPCC is that it can never admit error in anything that undermines their “Big Picture”. They will simply continue using apologists to muddy the waters.